Do You Change Your Strategy After a Big Win or Loss? Should You? 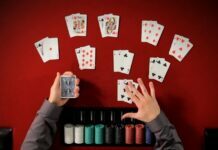 Suppose that you know the optimal poker strategy for every situation. C’mon, admit it — you pretty much think that you do, right? Now suppose that you have just either won or lost a huge pot. It doesn’t matter how it happened — bad luck, good luck, bad judgment, good judgment — it just happened. How will you play now? Will your decisions be different than they would have been prior to the big win or loss? My last two columns were derived from my recent read of Gary Smith‘s book, What the Luck? Though the book is primarily about the mathematical phenomenon of “regression to the mean,” in one chapter he takes a side trip to summarize an interesting piece of research he did on poker players. 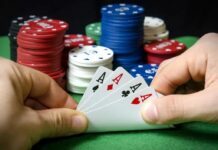 Smith and his co-authors first review several theories of human psychology and decision-making that suggest that an average poker player will become less cautious after a big win (i.e., take gambles that he previously would have judged unacceptable), and more cautious after a big loss. But other theories predict the exact opposite. The authors decided to try to answer the question with actual data. This being prior to Black Friday, they used the program PokerTracker to gather hand histories from Full Tilt Poker $25/$50 no-limit hold’em cash tables, guessing that those stakes would be high enough to ensure that the players were generally highly experienced. They collected data on 226,351 hands of 6-max. tables, and 339,510 hands of heads-up play. They deemed $1,000 — 20 big blinds — to represent a big win or loss. After each such event, they looked at the behavior of the player who won or lost that much over his next 12 hands, using two of the most common statistics featured in player-tracking software: “VPIP” (voluntarily put money into the pot) as a measure of looseness, and “AF” (aggression factor) as a measure of aggressiveness. The results were unmistakable. Players tended to become both looser and more aggressive after a big loss than after a big win. 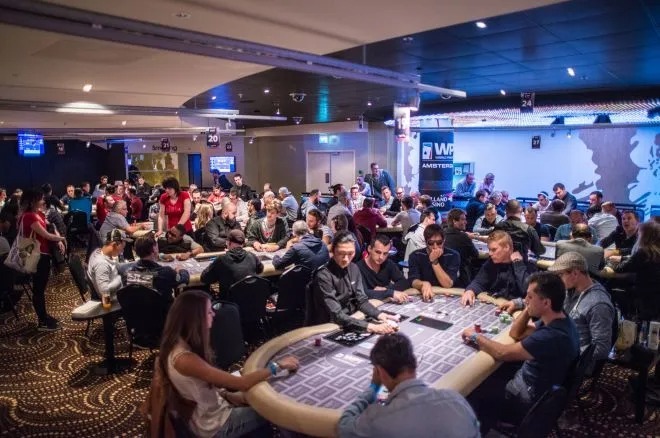 To be exact, at heads-up tables, 154 players became looser and 181 became more aggressive after a big loss, but after a big win, only 74 became looser and 47 became more aggressive. Similarly, at full six-handed games, 135 players became looser and 117 more aggressive after a big loss, while after a big win, only 68 became looser and 85 more aggressive. They ran similar analyses for wins and losses of the same magnitude that occurred over a stretch of 12 hands, rather than in a single pot. As you might expect, the results were in the same direction, but less pronounced. They also tested whether this observed change in players’ strategy depended on the size of the win or loss by rerunning the original analysis with thresholds of a $250 and $500 instead of $1,000. “In every case, a majority of the players play looser after a large loss than after a large win,” they found. “However, the fraction playing more loosely consistently increases as the size of the large loss increases.” And, again, they saw an attenuated version of the same effect when the win or loss occurred over a span of 12 hands than when it came in a single hand. In the last section of the paper, the authors review the empirical evidence that the same phenomenon — increased risk-taking to compensate for a large loss — is seen in both professional and amateur stock and bond traders. A crucial question, of course, is whether the observed change in poker strategy is profitable or unprofitable. The problem, as he points out, is that even “these experienced players did not recognize that their performance would regress to the mean after a big loss.” Thus did they change their approach, and as a result adopt what were in fact less profitable strategies. All of which helps underscore a great lesson to take away from understanding the nature of swings (good and bad) and the significance of regression to the mean. Don’t Miss The Poker Tournament in Queens!